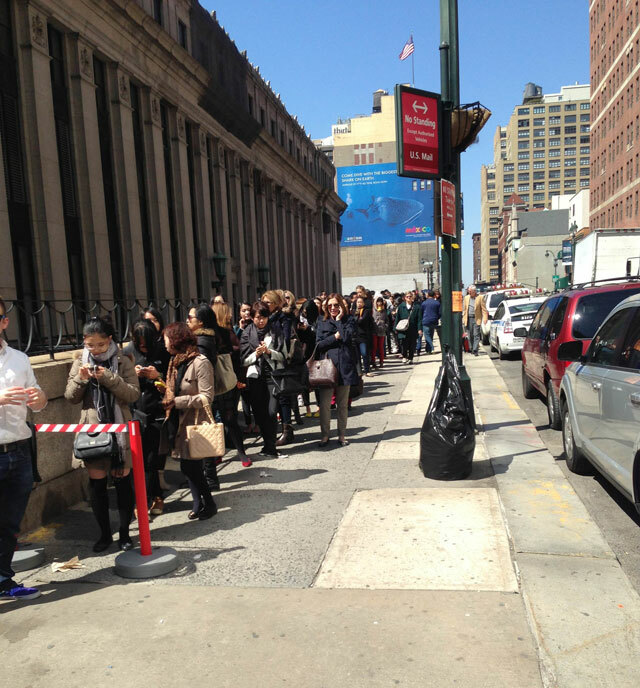 Roger Vivier Sample Sale: Six Hour Wait For Stilettos! 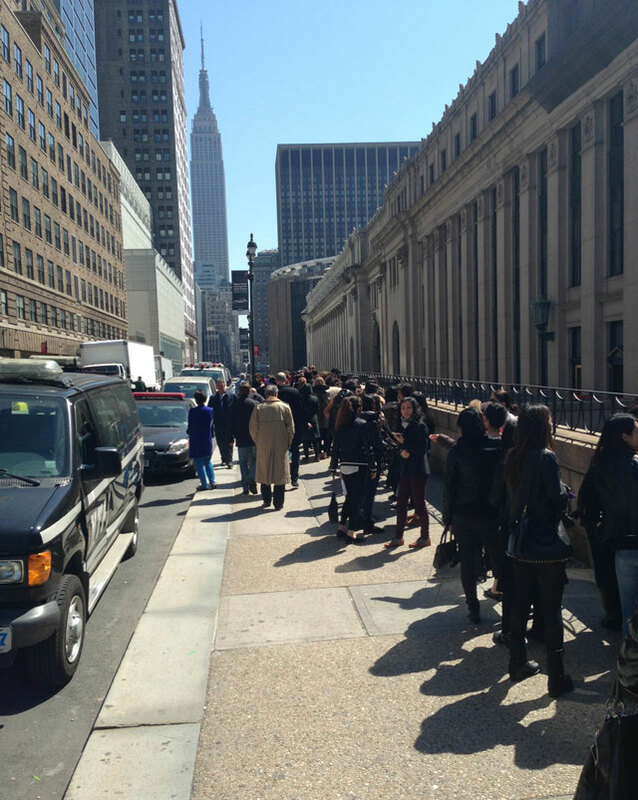 Although the Roger Vivier Sample Sale kicked off this morning at 10AM (9AM for VIP shoppers), the line accumulated down the entire stretch of 33rd Street, between 8th and 9th Avenues, and wrapped around the corner to collect record breaking count of shoppers by lunchtime. According to security, each corralled section of shoppers equated an estimated one hour wait. With some simple math, by 12:30PM shoppers at the end of the line faced 5 hours before them. Wow! 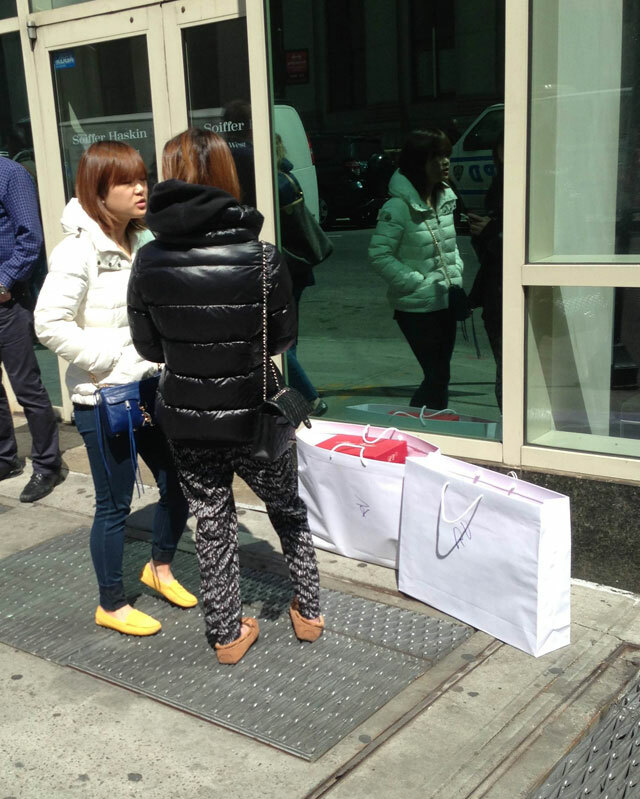 Lucky for waiting shoppers, they were on the sun soaked side of the street, allowing them to work on their tan as they dreamed of discounted designer shoes. One sunburned shopper in particular had about a two hour wait in front of her and she had been in line since 8:15AM! Known for being the originator of the stiletto heel, Roger Vivier is noted for his classic designs for some of the world’s most beloved stars, including Ava Gardner and the Beatles. But even so, is that fact worth spending half your day outside? I was lucky enough to speak to a few shoppers who were among the first in line this morning, before the sun was even up. 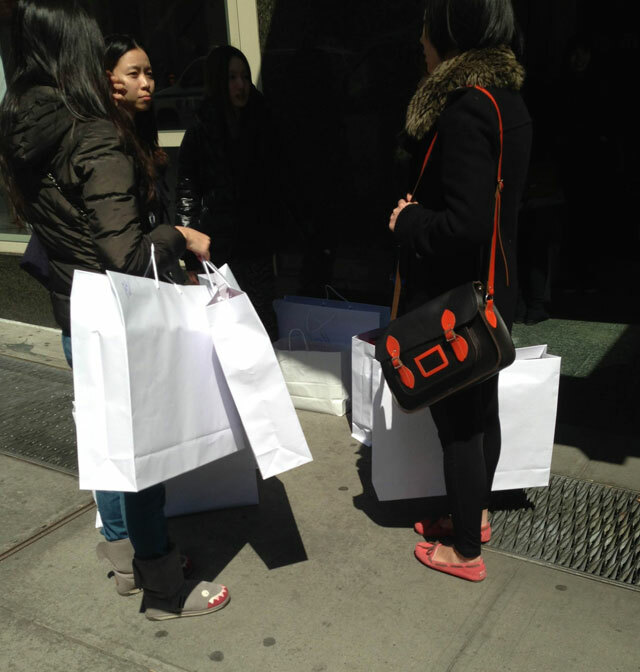 A gaggle of girls toted at least one bag each, some with two or three, and spoke highly of the sale. They mentioned that there was a great selection of flats for only $250, and all prices were 50% off their retail counterpart. They mentioned further that on average, stilettos were $350, with embellished shoes much higher. The Roger Vivier Sample Sale is only in its 3rd year, and in the past, stock was slim after the first few days. Given today’s outrageous crowd, stock is not expected to last through the sale’s end on Tuesday. For those hoping to peek inside the Roger Vivier Sample Sale, your best bet is to wait until midday tomorrow as I’m sure come 9AM when the doors open, shoppers in line from today will still be left over. Is it worth the wait? You tell us! Share your inside scoop within our comments section. Is it worth the six hour wait?